Hello! How’s it going? Are ya hungry? 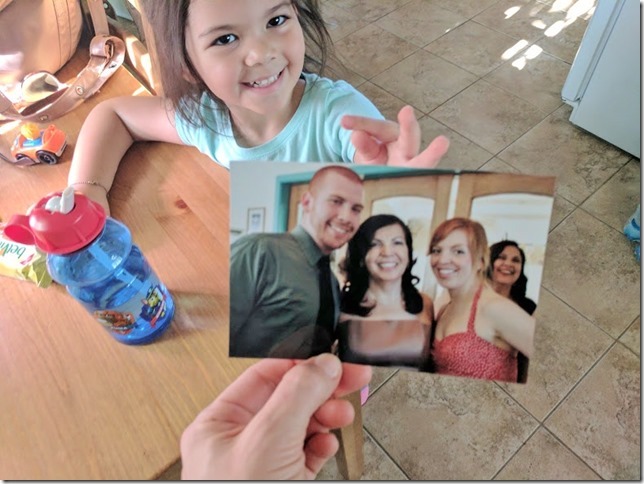 Because you will be by the end of this post. I got a Blue Apron delivery this week and was super excited for some new reasons. I love the food and always feel very fancy when I make Blue Apron meals. 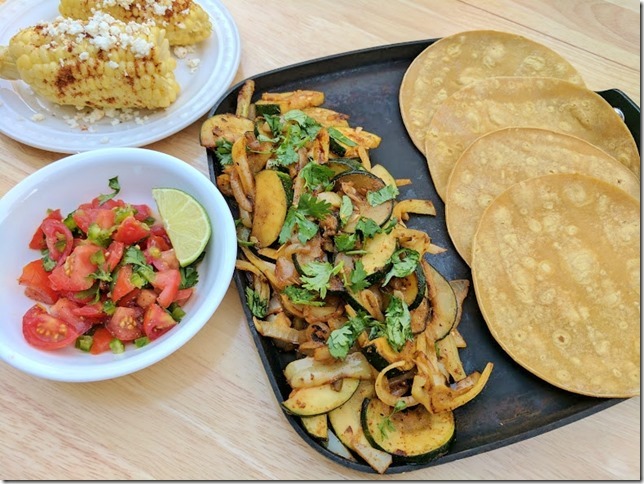 Today I have 5 reasons to get Blue Apron that you haven’t heard before! 1. Trade Blue Apron for love and/or friendship. You can impress people with your fancy cooking and delicious food! A home cooked meal is something you can give to the person who has everything. 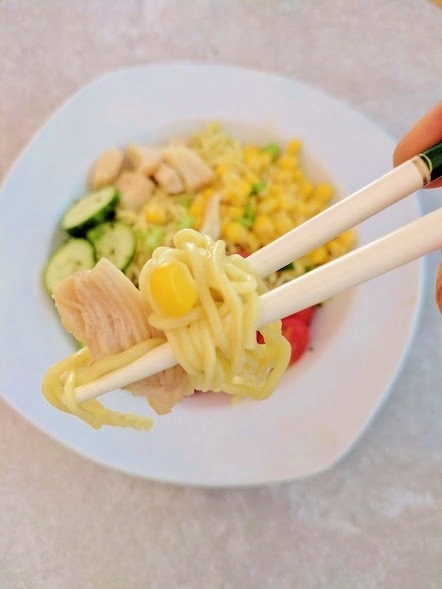 It’s a very sweet gesture to make someone dinner. And ya know those times when someone does you a favor but insists you don’t pay them back? Well, cooking them dinner is a way to be kind without them feeling like you are giving them a monetary gift. But… you want to make sure you cook something delicious, right? 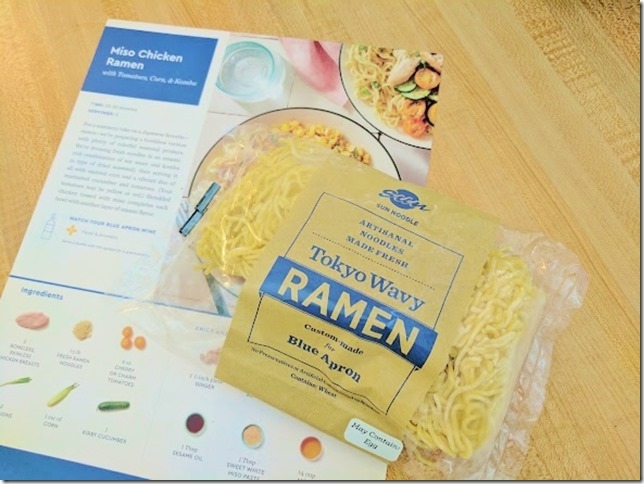 Since Blue Apron sends you all the ingredients and proper amounts of ingredients – you can’t mess this up! 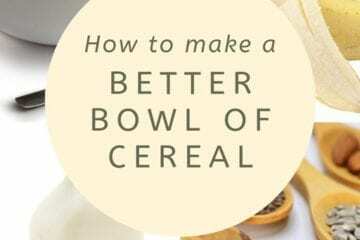 Follow the directions and you will make an amazing dish for your new best friend. I have a friend who LOVES fish. Anytime we go out to eat he suggests seafood first. So the last time I got a Blue Apron delivery with a salmon recipe I made it for him. He was super impressed and I was proud of myself since seafood isn’t my specialty. 2. Meal Prep or Meal Delivery for someone busy. I have been taking food to my brother and SIL for the last few weeks. They have a lil one and a new baby. Love love love. Oh, and they have their hands very full! 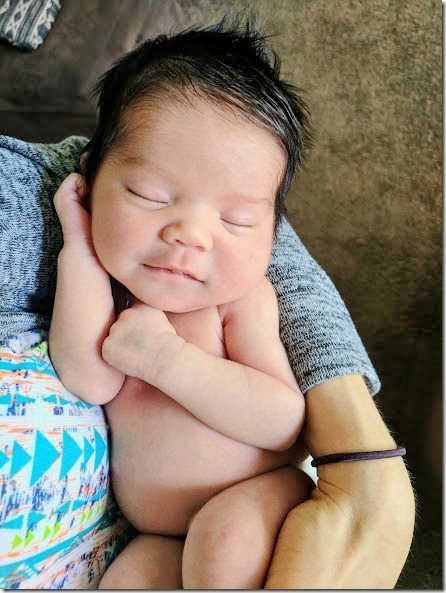 So, I’ve brought over breakfast casseroles and oatmeal muffins and crockpot pulled pork…. But I’ve run out of ideas! 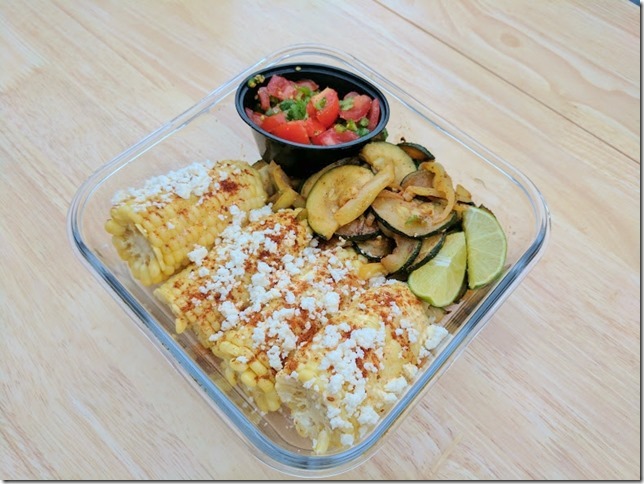 Then, this week’s Blue Apron order had Squash Fajitas with Elotes. Ahhh! This was perfect because my SIL told me she wanted me to bring her an elote after she gave birth. I wasn’t able to because I ended up rushing to the hospital since there were some complications and I just needed to be there fast. Plus she couldn’t eat for a while after. Then, packed it up to deliver to my brother and SIL. They were super appreciative and it made me happy to be able to take them food that I know is healthy and delicious. My niece wasn’t super excited about the food but she was excited I came over to play with her. She showed me this picture that’s up in her room and I thought it was funny that she named everyone in the picture – including my mom’s friend in the background! Ha! 3. 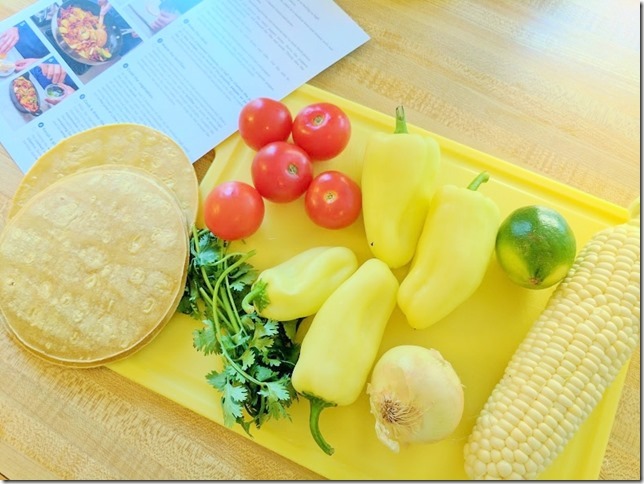 Learn how to cook and about the food. Blue Apron doesn’t just send ya ingredients and instructions. You can learn so much when you cook these dishes! – You can learn how to chop or cook certain things that are usually very challenging. How to Hold a Chef’s Knife OR How to Peel Garlic–-> They have video tutorials on their website with tips and tricks for cooking skills like this. Plus these are skills you can use in other meals when you’re cooking your own recipes. – You can learn a little history on where a certain ancient grain comes from or where a certain dish originated from. –> The recipe cards have some information on each dish like this. – You can learn how to pair the food with the best wine. –> The recipe cards have wine suggestions. 4. They have 30 minute meals. Don’t have time to slave over the stove for hours? 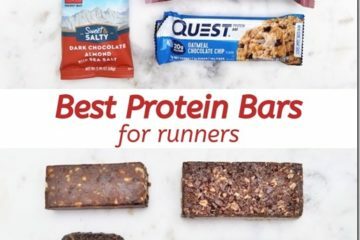 Usually get home hungry and want to eat asap? Well, you can basically be like Rachel Ray and make delicious 30 minute meals with Blue Apron. It’s so easy because they send you everything for the dish plus the recipe/directions. All you have to do is set aside half an hour and you’ll be digging into a very impressive meal. The Miso Ramen Chicken I made today was a 30 minute meal! It’s surprising how quick and easy it was. 5. 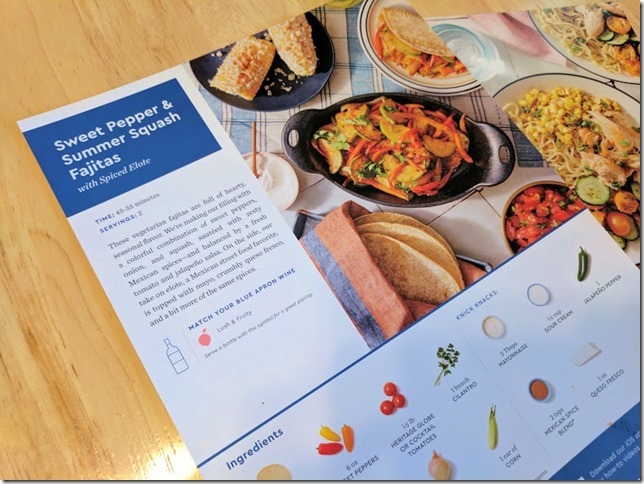 Blue Apron offers a recycling program! This definitely got me excited – the company is now offering a recycling program! You’ve always been able to recycle some of the packaging on your own at home. But now you can return the packaging for free. 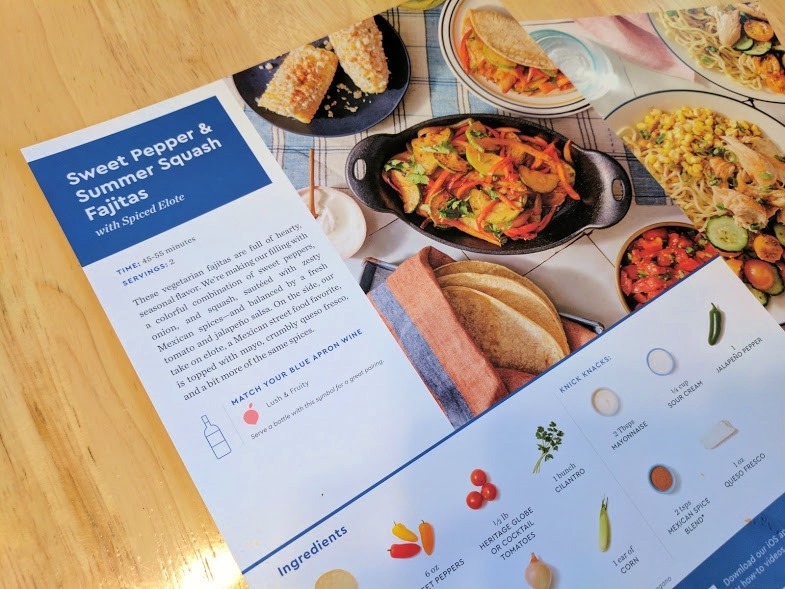 Get more information on Recycling Blue Apron packaging here. 6. You can get 3 free meals! Okay, maybe you already heard about this reason to get Blue Apron, so it’s a bonus. 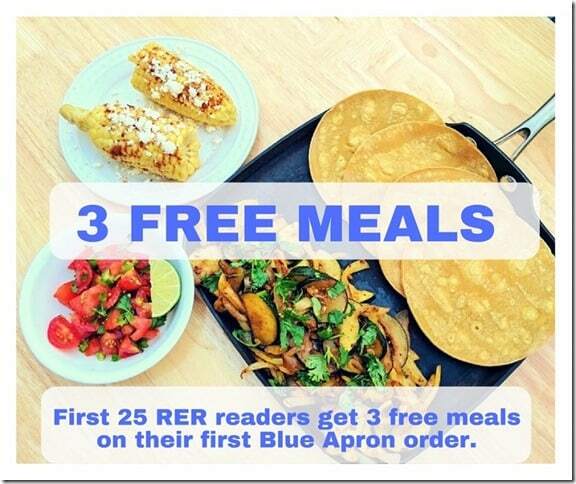 But in case you haven’t been able to try it yet – the first 25 RER readers to sign up now will get 3 FREE meals on their first Blue Apron order!! Question: Do you have a dish that you make when taking food to someone or trying to impress?? I need to develop my impressive recipes…I am always the girl that shows up with a bag of tortilla chips and a tub of salsa. So, so lame. Your food looks awesome, though! I’m always down for chips and salsa! I’ve used Blue Apron a few time and loved the meals! 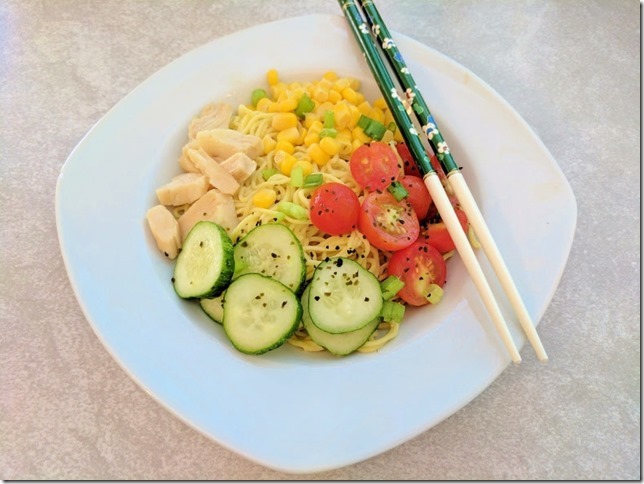 It really takes the stress out of meal planning for me! Always wanted to try it! I should impress my husband with new ingredients! 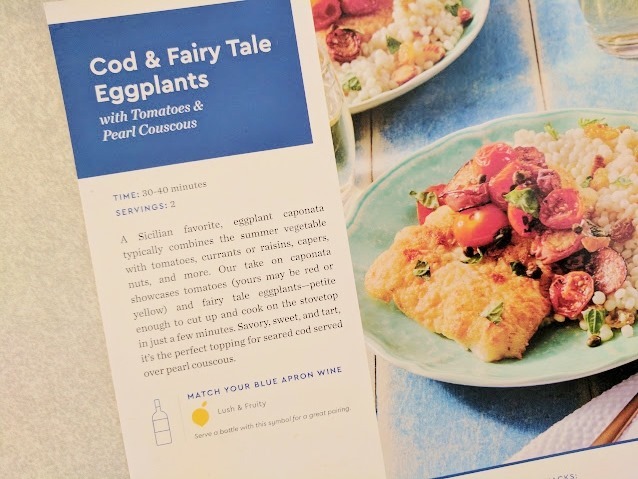 The meals by Blue Apron always look delish! Wish it was available here!